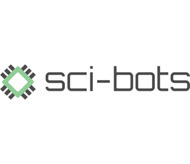 Sci-Bots develops instrumentation and software for chemistry and the life-sciences. Our DropBot platform provides the ultimate in flexibility and is used by researchers around the world. It’s the easiest way to get started developing automated and miniaturized wetlab applications – all without pumps or valves – through the power of digital microfluidics.